An interesting paper from The Journal of Wine Economics has analysed the reliability of judging at wine competitions in the USA. You can download it for free here. An analysis of over 4000 wines entered in 13 U.S. wine competitions shows little concordance among the venues in awarding Gold medals. 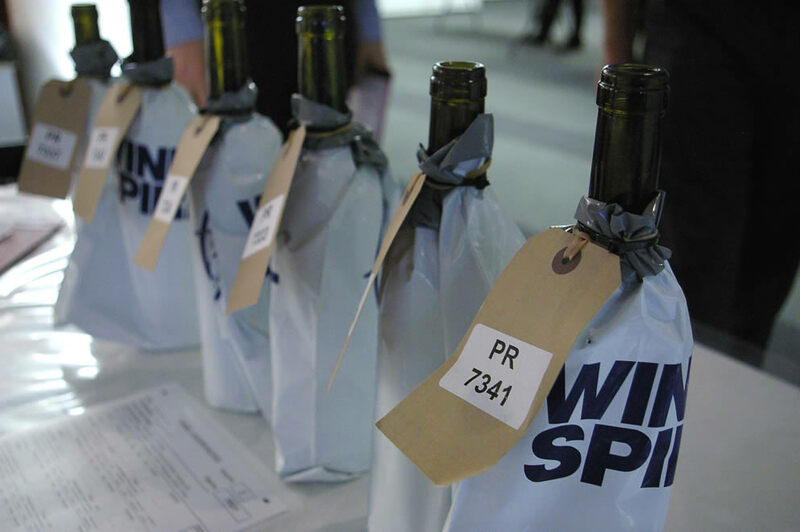 Of the 2,440 wines entered in more than three competitions, 47 percent received Gold medals, but 84 percent of these same wines also received no award in another competition. 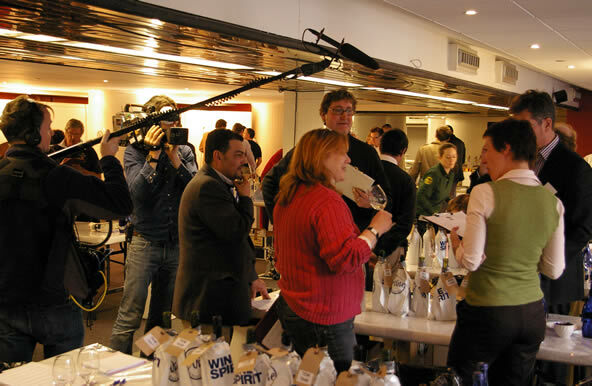 (1) There is almost no consensus among the 13 wine competitions regarding wine quality, (2) for wines receiving a Gold medal in one or more competitions, it is very likely that the same wine received no award at another, (3) the likelihood of receiving a Gold medal can be statistically explained by chance alone. We can conclude that there's something fundamentally wrong with these US competitions. Is it a US-specific problem, or does it also apply to competitions in other countries? Is it that the judges used simply aren't good enough tasters in this sort of environment? I've recently had the chance to taste some rather grand French wines blind, without realizing what I was tasting. There were some smart wines in the London installment of the Berlin tasting - Lafite, Latour and Margaux 2005. And then in the Pinot Noir session at the Landmark Australia Tutorial, Tom Carson slipped in a bottle of DRC Romanee St Vivant 2002 as a ringer. Some observations? Well, the DRC wasn't very good, or at least not as good as it should have been. It was in the middle of a flight of older Australian Pinot Noirs, and while I scored it at 90/100, I didn't think for one moment that it was of DRC quality, or even that it was particularly Burgundian when compared with the other wines in the flight. The Lafite was too oaky - almost to the point of faultiness - although I noted that there was a serious wine here waiting to emerge. The Margaux I liked, but I thought it was a little rustic and bretty. The Latour wasn't totally clean, but this could have been a cork issue. Had I seen the label of any of these wines, I'd have felt some pressure to look harder for their merits. 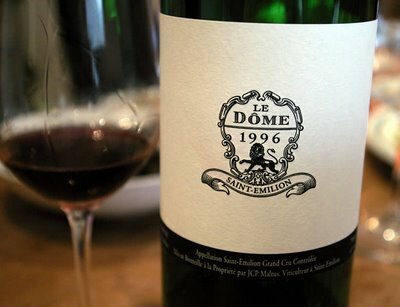 Indeed, when the identity of the DRC was revealed everyone started to make excuses for it in a way they wouldn't have done with the Australian wines (it's closed; it's going through an awkward phase). Reputation matters a great deal in the world of wine. Our senses of taste and smell are, it seems, easily fooled. 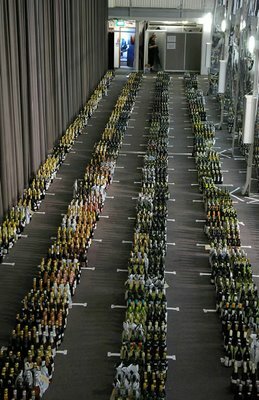 We bring a lot of expectation to these grand bottles of wine. In a mischievous experiment, a French researcher called Frederic Brochet (see here) served the same average-quality wine to experienced tasters at a week’s interval. The twist was that on the first occasion it was packaged and served to people as a Vin de Table, and on the second as a Grand Cru wine. So the subjects thought they were tasting a simple wine and then a very special wine, even though it was the same both times. We’d probably all like to think we’d not have been taken in by this ruse, but Brochet’s tasters fell for it. He analysed the terms used in the tasting notes, and it makes telling reading. 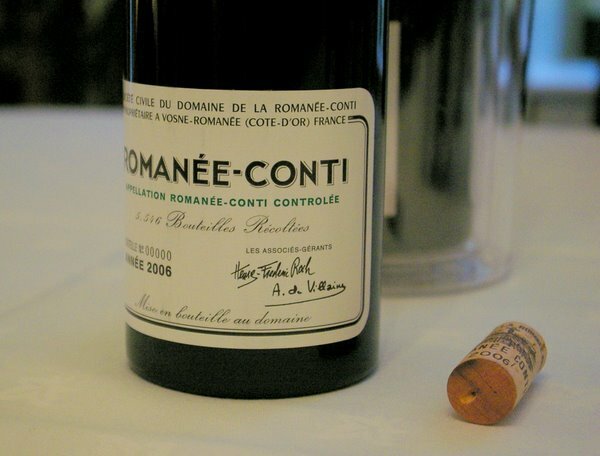 For the ‘Grand Cru’ wine versus the Vin de Table, ‘A lot’ replaces ‘a little’; ‘complex’ replaces ‘simple’; and ‘balanced’ replaces ‘unbalanced’ – all because of the sight of the label. Brochet explains the results through a phenomenon called ‘perceptive expectation’: a subject perceives what they have pre-perceived, and then they find it difficult to back away from that. For us humans, vision is our dominant sense and so we trust it over our senses of smell and taste. Brochet uses these results to explain Peynaud’s observation that ‘Blind tasting of great wines is often disappointing’. It has been another busy day. I am lucky to have one of the best jobs in the world. I began with coffee with Andre Van Rensburg of South African super-estate Vergelegen (pictured above). Andre is a wine journalist's dream. He's talkative, controversial, direct - and smart and well informed with it. Our discussion was wide ranging, taking in subjects as diverse as leaf roll virus/mealybug, the over-emphasis of methoxypyrazines in Sauvignon Blanc and the concept of icon wines. Then it was off to the Sainsbury's press tasting. Two stand-out wines that you must buy are the 2007 Taste The Difference Cotes du Rhone, which is £5.99 but tastes better than wines twice the price, and the 'Limited Release' McLaren Vale Shiraz 2008 which was sourced from Phil Sexton's Innocent Bystander operation, has a splash of Viognier and 15% Victorian Shiraz in it, and has beautiful concentration and texture. It will be on the shelf at £8.99 (good value at this price) but then discounted to £5.99 (which makes it absurdly cheap). Next up, the 2007 Vintage Port preview at Somerset House (pictured). I hadn't read my invitation properly, so I was delighted when I got there to find out that the Ports from 2000 and 2003 were also being shown. Included were the Symington/Fladgate Partnership/Noval Ports. 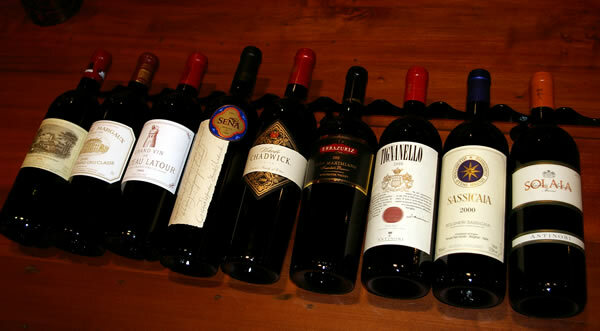 I set about the older vintages like a kid in a sweet shop ('candy store' for Americans). I love the 2000 vintage, and love the 2003 vintage perhaps a little more. The good news is that the 2007 vintage is fantastic: perhaps more on the fruit-driven style, but the aromatics and intensity on some of these wines was stunning. Dow, Graham, Noval, Silval and Romaneira were my picks from 2007. For 2003, Fonseca, Graham, Noval, Taylor, Vesuvio and Warre were all stunning. For 2000, Fonseca, Noval, Taylor, Vesuvio and (surprise) Smith Woodhouse were my top picks. Then it was off to Bibendum, for a tasting of 31 Pinot Noirs from Oregon, 2007 vintage. It was a blind tasting for Tim Marson's MW dissertation, looking at whether the various Willamette AVAs are recognizable blind across a range of producers. This was a vintage spoiled a bit by harvest rain - and, interestingly, some of the wines were showing some rot/geosmin characters to the extent that I'd dismiss them as faulty. Tonight I've played football, and tomorrow it's day 2 of the test match at Lords. 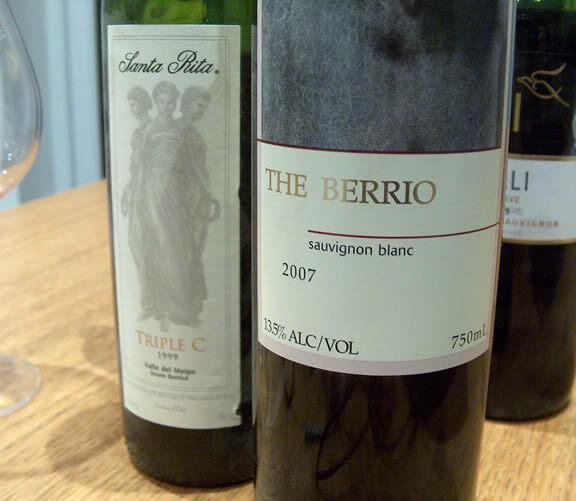 The Berlin tasting comes to London - will Chile beat Bordeaux? Off to the 'Berlin' tasting in London this afternoon. This is a re-run of the event where Eduardo Chadwick pits his icon wines Sena and Vinedo Chadwick against some stiff competition, blind. Crack tasters then deliver their verdicts, and the results are compiled. Is the reason top Chilean wines don't fetch first growth prices simply because we are biased against them when we see the label? Will our deep prejudices be uncovered when we taste the wines blind? It will be very interesting, particularly if the competition to the Chilean wines is as stiff as it has been in previous years. I will be fascinated to see what my perceptions are in such a setting. Ultimately, I think the result will depend (a) on the stylistic preferences of the tasters; and (b) on the competence of the tasters in distinguishing among wines in a blind setting. 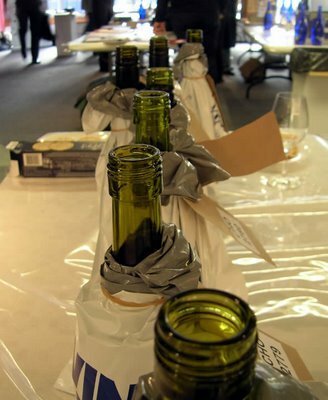 Blind tasting is difficult, and not many people are all that good at it. It was day 2 of the International Wine Challenge today. I had a really good panel and we tasted well together, which made for an enjoyable day's work. Just 94 wines tasted today, which is a comfortable number. But with retastes, and deliberations, you end up putting a lot of wine into your mouth. The result is that when you get home in the evening, the last thing you feel like is another glass of wine. So far this year I've experienced few really nasty wines, but there have been quite a few faults. As well as the odd musty tainted bottle (which we normally assume to be cork taint), there have been quite a few reduced wines. In fact, I'd say reduction was the most common fault (from a small sample so far). I've personally not seen any bretty wines, but have seen a handful of oxidized/VA bottles. I'm looking forward to seeing the results of the official faults analysis from the competition this year. Stayed behind for a couple of Cooper's Sparkling Ales, which is a really nice way to finish a day's judging. 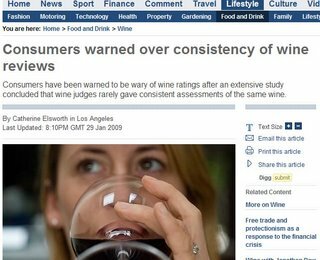 How consistent are wine reviewers? Interesting article in the Telegraph titled Consumers warned over consistency of wine reviews. It's based on a survey undertaken at the California State Fair wine competition at Sacramento, in which the judges were assessed for the reliability of their palates. You can read the original article from the Journal of Wine Economics here. Tasting wine blind in competition settings is difficult, and few do it really well. It's important we know how reliable tasters are in these sorts of settings, because then we know what sort of confidence we can have in the results. This is the first time I've seen these sorts of data collected, and the results are quite sobering. If we, as the 'wine trade', are to be taken seriously, then these are the sorts of studies we should be encouraging. How about doing this sort of exercise at the International Wine Challenge, or the Decanter World Wine Awards? Or entering exactly the same wine into the competition under several different names? We should be eager to see how well we are doing, because this would reassure us, or help us improve. So I spent the day in the office. When I went freelance I thought I'd be spending a lot of days working from home. 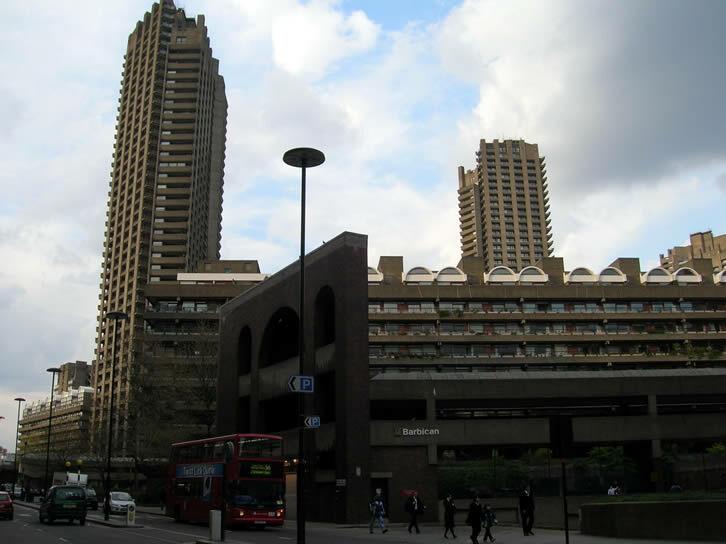 It has actually been much busier than I'd envisaged, so I haven't had all that many days when I've not been going out to work elsewhere. The way I prefer to work is in bursts. I like to work really hard, and then take it a bit easier. I aim to try to get some work/life balance where I'm not crazy busy all the time. To make this work with the family, I work unusual hours - quite often, I'm working late at night simply because this means I'm more available when the kids are around. The other factor is the 'muse': when you are writing, some times are unpredictably much more fertile than others - you have to run with this. So what did I do today? I finished a piece on the perception of wine that looked at studies investigating what happens in the brain when we taste wine. I did some invoicing. I wrote an annoyed email to a car hire company who were being arseholes about a one-day rental Fiona made last month (a long story). I spent a while on the phone to Susanna from Imbibe magazine who is doing a really interesting piece on wine preservation devices, and wanted some technical input. I walked RTL. I helped Fiona bath RTL (a traumatic process). I played three games of Top Trumps with younger son, losing 2-1. I mowed the lawn. I fired up the barbie. And I responded to Fiona's challenge and tasted three wines blind. The blind tasting was difficult, as it often is. The first wine was tricky: it was red, and sweet enough to be new world, but then again it was savoury enough to be ripe old world. There wasn't the complexity for it to be serious old world, but then it wasn't sweet and simple. It was impossibly hard to place. I guessed South Africa, then Chile, then Italy, then France, before hitting the mark with Australia. It was the De Bortoli Yarra Valley Shiraz Viognier 2004. Tasting it unblind, though, I'm getting lovely dark peppery cool climate Syrah fruit that I didn't get blind. Blind, I got more of the ripeness/greenness contrast. [So is this the power of suggestion at work, or just that when I taste unblind my perception receives input from my memory and knowledge of wine that then helps me to make more of the sensory information I am getting?] It was the greenness that led me to Chile and South Africa, but because I now know this is from the Yarra, I'm not as afraid of the greenness. The second wine was white, but it wasn't obviously Chardonnay or Sauvignon. I couldn't spot oak, but there was a rounded texture. It was actually a Chardonnay Reserve from Finca Flichman, but, almost bizarrely, it tasted like a rich unoaked Italian Pinot Grigio. Really tough blind. Finally, I was poured a vile, slightly oxidised Chardonnay - it turned out to be a supermarket entry level Chilean Chardonnay fro 2005 that hadn't survived well. Later on today I depart wintry old London for a quick trip to Argentina. It's my first time to this increasingly interesting wine country. I'll be based in Mendoza, and will be seeing some of the top producers. Forgive my childish enthusiasm, but I find visiting wine regions very exciting still. If ever it becomes a chore, I'll stop writing about wine. Yesterday, we headed over to brother-in-law Beavingtons for some lunch, but perhaps more importantly a spot of blind tasting. Devoted readers of this blog will remember that last time we did this he served me some of his Justerini & Brooks cellar plan wines, which he'd just removed from bond without being aware of their current market value - so we enjoyed Bruno Clair Corton Charlie and Le Dome. This time the tasting was in three parts. First some Sauvignons, then a couple of Champagnes I'd brought along, then three reds, finishing up with a couple of dessert wines. I'll start with the Sauvignons. Notes as written, with no tidying up later. As I've mentioned here before, I often do blind tastings at home where I let Fiona select at random from the sample rack and then present me a few wines double-blind. It's a really useful educational experience, although you could argue it's not truly double-blind, because I have some idea of what wines are sitting there (usually around 250 different bottles). Tonight's two are detailed below. I'm reproducing the notes I made as they were made, and then adding some brief comments made after the wine was revealed. Interestingly, the Faustino VII Rioja Semi Crianza 2005 Spain (£5.99 Co-op) I opened earlier is remarkable, in that it's a widely available commercial brand, but it's stuffed full of (what my palate takes to be) Brettanomyces. 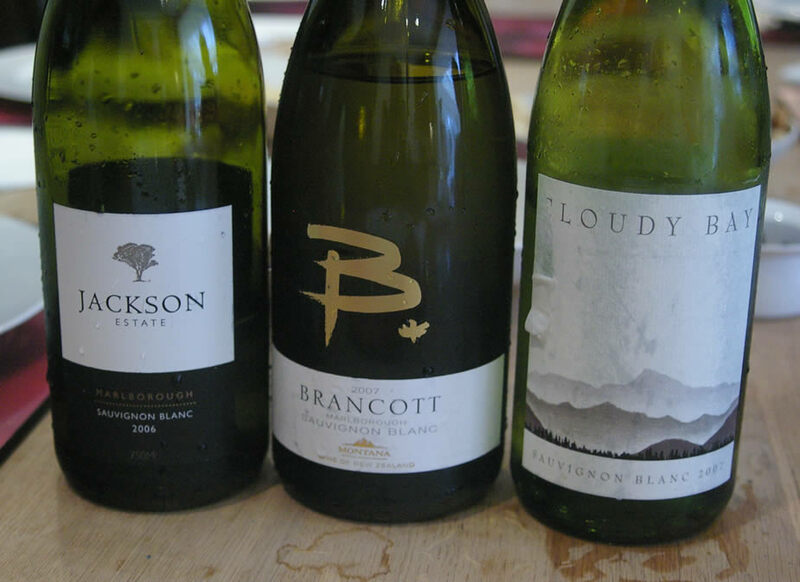 It's worth trying if you haven't experienced a bretty wine before, I reckon. Today was the second full day of tasting at the wines of Chile awards. We were down to eight judges, because unfortunately Sarah Ahmed had been stricken with a nasty illness, and was unable to continue. We were reassured that it had nothing to do with her scores on the first day. But before I say more about the judging, a word on restaurants. Last night we went to Akarana, which is opposite the Ritz Carlton, and presumably relies on American visitors for a good portion of its trade (signs on the outside were in English). It was really buzzy, and the food was pretty good. Recommended. Tonight we went to Mestizo, which is a stunningly situated restaurant in the Vitacura region of the city, which has only been open for a few days (they don't have their license for alcohol yet). The food - modern Chilean - scored 9/10. It was brilliant. The service mustered only 2/10, though - chaotic, unfocused and unprofessional. If they cure that, this will be a great restaurant, because the setting and the kitchen are pretty much perfect. Tasting today was quite tough work. Working in our groups of three, we awarded quite a lot of medals - the standard was consistently quite high. But gold medals were hard to come by. The wines we have tasted at dinner over the last few days have shown that Chilean wine has come a long way in a relatively short time. But in our tastings, few wines really stood out as being really exceptional. It's quite hard as judges to have to say this: it would be much easier to give lots of golds and keep everyone happy. But we have to do our job as professional tasters and give an honest opinion of the wines that are in front of us. Don't get me wrong, though: overall, I'm getting a favourable impression of Chilean wine through our tasting and drinking this week. Story of the day was Joanna Simon's experience at breakfast this morning. Seeking butter to go with her roll, she asked for 'burro', which led to bemusement on the part of the waitstaff. Now I'm very tired (more tennis and swimming after work), and it's past midnight, so I shall go. 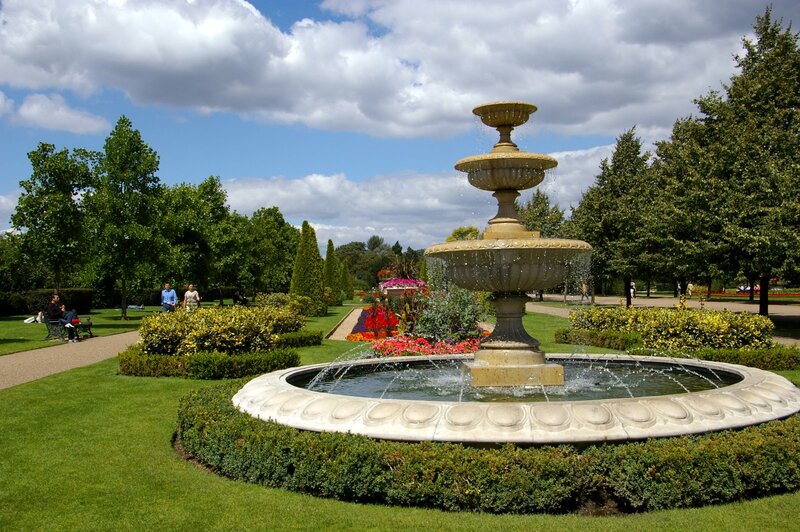 Pictured is Regent's Park this lunchtime, taken with my Pentax *ist DL2 and posted using Google's Picasa (that's what the little coloured logo at the bottom of this post represents). I've been playing around with Flickr a lot, but Picasa seems quite a promising way of dealing with pictures on your computer, rather than on the web. As you can see, it's almost a summer's day: it feels a bit fresh, but there's some sunshine, and no rain so far. It would be great if we could get some proper summer weather - I expect wine and beer retailers would like it, too. I wonder whether the sustained damp weather has put the brakes on the remarkable rise in rose sales in the UK over the last couple of years. Last night Fiona tried another three blind wines on me. The first was an oaky white that I reckoned was a really good Chilean Chardonnay. Turned out to be an oaky Grenache Blanc from Domaine Lafage in the Roussillon. What's the point of making Grenache Blanc taste like Chilean Chardonnay? Then a red. Red berries, quite fresh, new worldy, with just a tiny hint of greenness - I called this as a really good Chilean Merlot - turned out to be Dona Dominga's Syrah Carmenere. Very nice, actually. Finally, a crappy South African Cabernet Sauvignon showing oxidation and greenness. It was all over the place and I couldn't get it at all. That's one thing that will always trip a blind taster up - an out of condition wine.